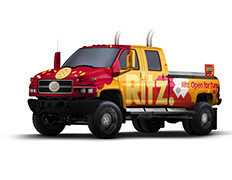 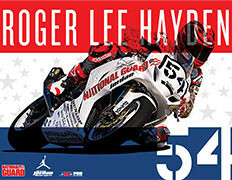 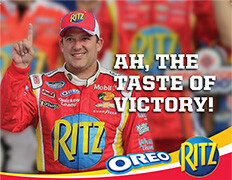 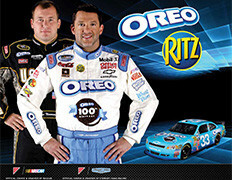 Objective – Design and produce an event take-away for NASCAR fans to have after visiting Nabisco showcar appearances. 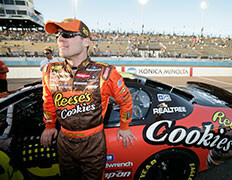 Build awareness of NASCAR sponsorship and increase entries for the national sweepstakes. 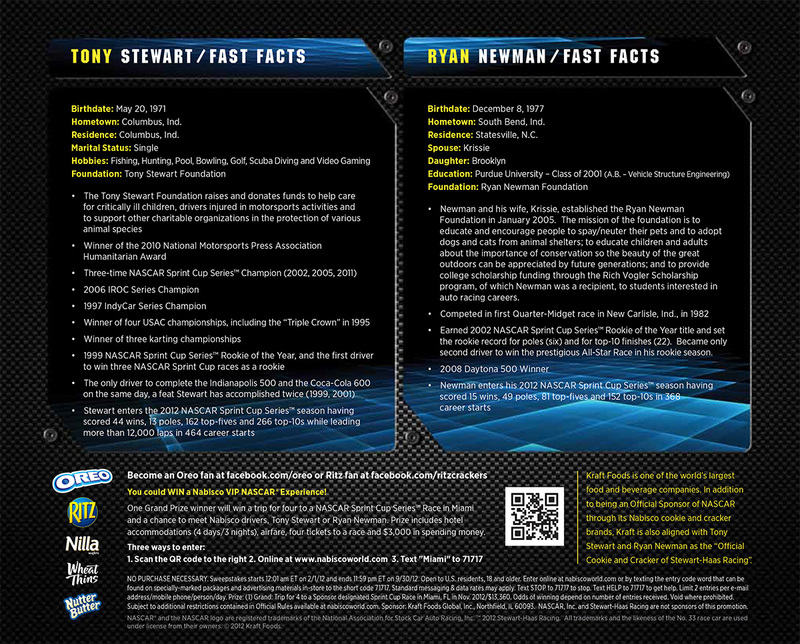 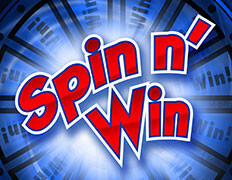 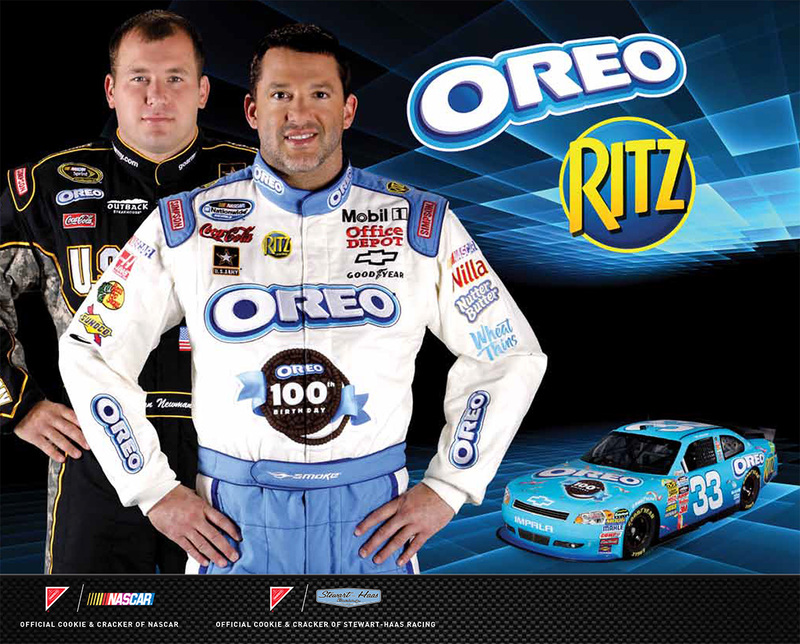 Solution – Create an eye-catching hero card highlighting Tony Stewart and Ryan Newman while providing a call to action for consumers to enter the national sweepstakes.